The Roman emperor Tiberius, who ruled from A.D. 14 to 37, has something of a reputation for wanting to get away from it all. In 6 B.C., he stepped out of the political and military arena and settled for seven quiet years on the island of Rhodes. And famously, he retreated again in A.D. 27, this time as emperor, and removed himself from Rome to the idyllic island of Capri. 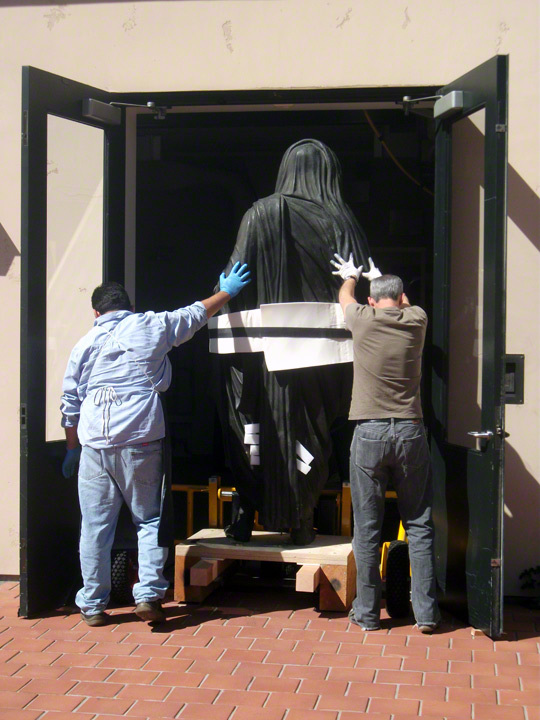 Tiberius has now come to the Pacific Palisades—in the form of a huge bronze portrait statue, over two meters high. 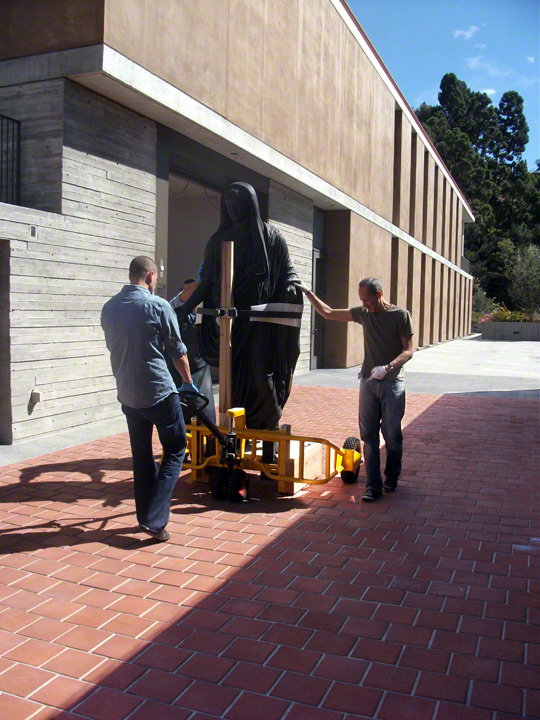 The statue is a new loan from the National Archaeological Museum in Naples (Museo Archeologico Nazionale di Napoli), and its arrival marks another chapter in our ongoing collaboration with our colleagues in Naples. Last year we displayed the bronze Apollo Saettante in a special exhibition, Apollo from Pompeii: Investigating an Ancient Bronze. 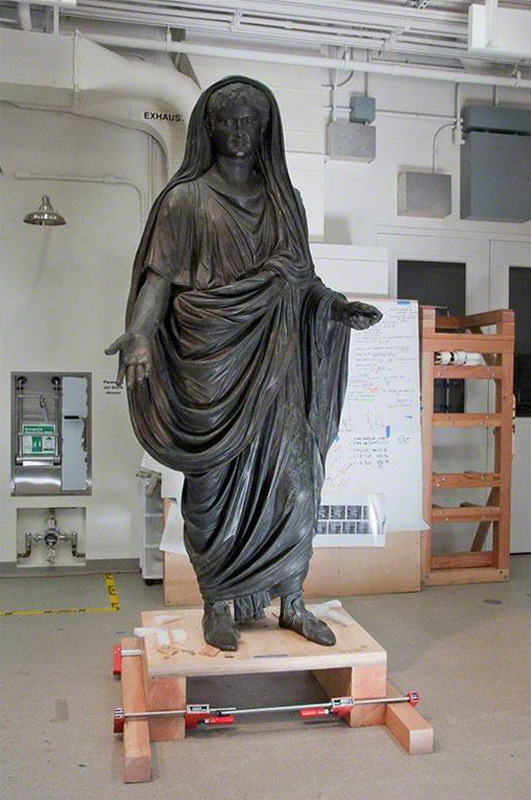 The Apollo had been off display for a number years, and we worked with Naples to investigate and conserve the statue (and it’s now back on view in Naples). The Tiberius presents a similar project—he too has been off view, and one of our primary tasks will be to stabilize the statue for future exhibition. In doing so, we have another rare opportunity to investigate an ancient bronze, and to explore both how it was made in antiquity and what has happened to it since. 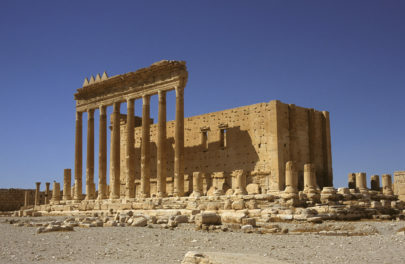 The results will be presented in an exhibition at the Getty Villa next year. Here, though, are some of the things we know going into the project. The Tiberius was found at Herculaneum (so its presence here, at a museum modeled on the Villa dei Papiri at Herculaneum, is especially fitting). An inscription indicates that the statue had been set up right at the end of Tiberius’s life, i.e., around A.D. 37. It would have been standing for a little over 40 years when Herculaneum was destroyed by the eruption of Mt. Vesuvius in A.D. 79. The statue’s modern biography is somewhat longer—it was discovered 271 years ago, on August 31, 1741. 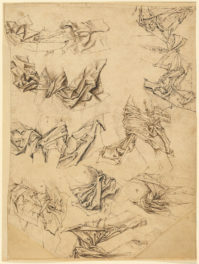 Those of you who have seen the Last Days of Pompeii exhibitionwill understand the excitement that such early finds provoked, although it’s worth stressing that the Bourbon court, which ruled at the time, tried to control knowledge of their emerging treasures, preventing visitors from drawing the discoveries. As such, the first image of the statue that we’re aware dates to 1771. 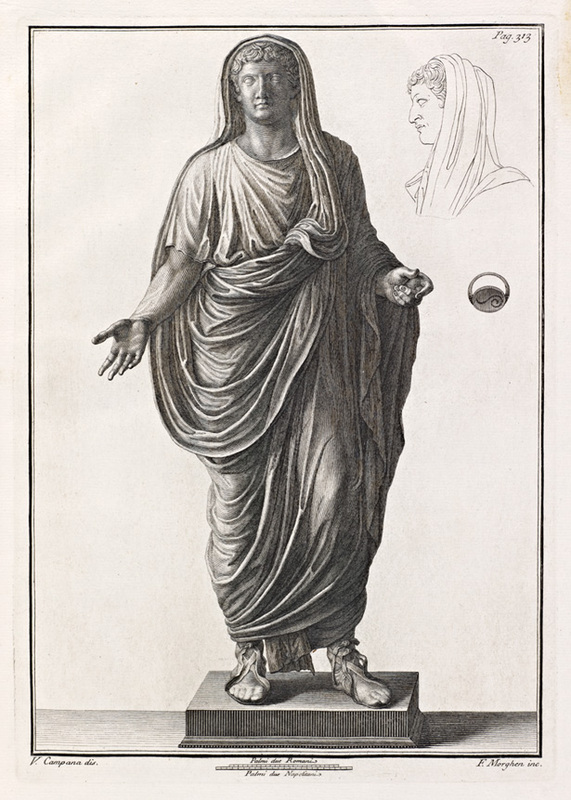 In this engraving, the statue looks to be in perfect condition, but given the damage it must have sustained during the eruption of Vesuvius, that’s hard to believe. Indeed, archival sources indicate that the statue underwent restoration at the Royal Foundry at Portici, which was typical for the time, and one of the aspects we’ll be investigating is the methods and materials that were used to put it back together. In future posts, I hope to be able to provide you with more information as the project progresses. Out of curiosity, what is the little circular object sketched next to the statue in the engraving? Is it some sort of fibula, or is it a ritual tool that was held in the statue’s hand? It’s the ring he is wearing. This is wonderful, as administrator of the Julio Claudian Iconographic Association and living in California, this will be wonderful to see!! Thanks to the Getty Villa. I’ll make a special trip from San Francisco! How do you know that it’s an image of Tiberius? I’m curious partly because it looks awfully idealized, and most of the Roman portrait statues I’ve seen are pretty realistic looking, even of the emperors. So I’m wondering how you guys know that this is a portrait of a particular person as opposed to just a random Greek-style statue of a Roman dude. Ah okay, just saw the comment about the inscription, which presumably tells the viewer who it is. It still looks awfully idealized, though. Strange. Janis – the inscription was found three days after the statue, and names the figure (curiously, though, in early publications, the statue received other attributions – Drusus or Germanicus. Given how thoroughly Roman portraiture has now been studied, we can be confident that it’s Tiberius). But it is certainly idealized. As noted above, it was set up at the end of Tiberius’s life, so when he was in his seventies. 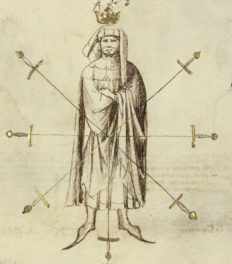 But the face of this figure is that of a much younger man. I wish you lots of luck!!!!!! Will be visiting with Livia’s favorite son this thursday. Can’t wait. Grazie mille for bringing ole “blood soaked mud.” to the Palisades.